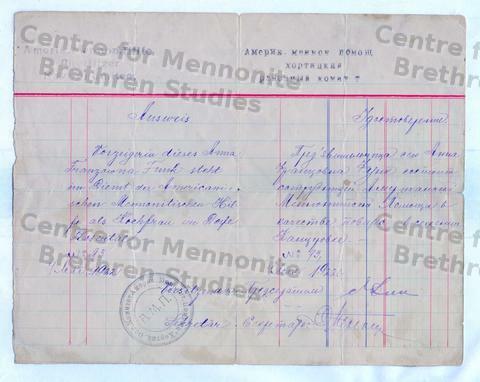 This is a copy of Anna Funk's certificate of service with the American Mennonite Relief Administration in Rosenthal (Chortitza). She is designated as "Hochfrau" (i.e., woman in charge) of the relief kitchen. The text is written in German and in Russian, stamped, signed, and dated May 4, 1922.